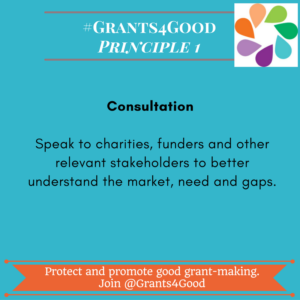 The campaign has developed ten principles which grant-makers should consider when giving a grant to a charity. 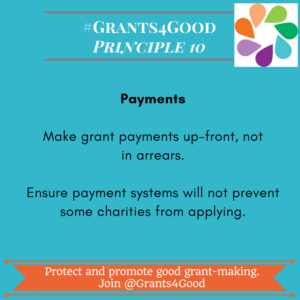 Implementing these ten, simple, principles will make sure that grants are more fair, transparent and effective. 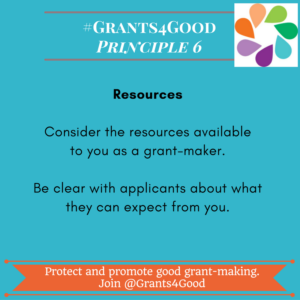 Download the Principles of Good Grant Making document on the right and bring it to your next meeting with your grant maker. 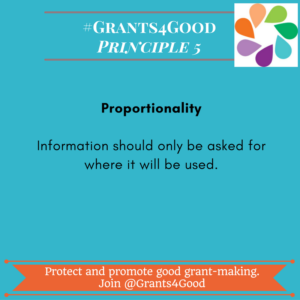 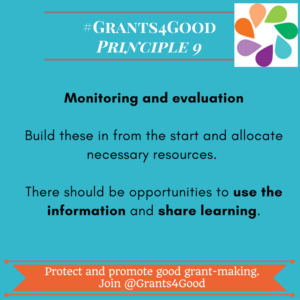 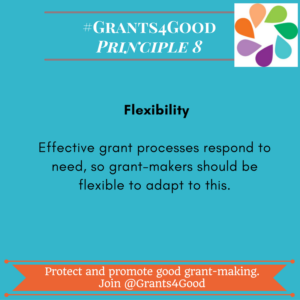 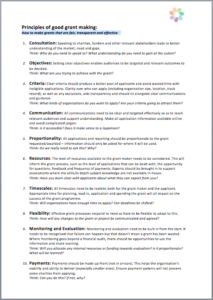 This document contains some really useful tips on how to build these principles into a grant as well as a case study to see how this has been done. 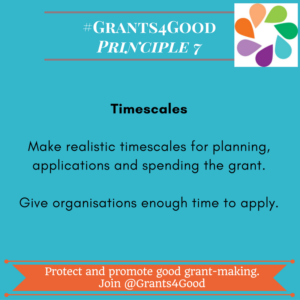 Donwload also our paper on Grants 2.0 – Grants for the Future. 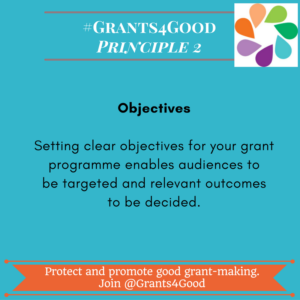 A policy paper from the Grants for Good campaign on how Grants 2.0 could look like in practice. 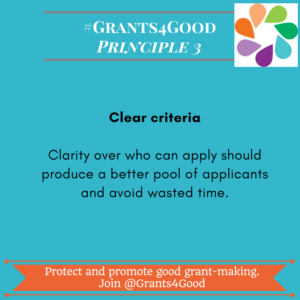 And watch out for our Principles of Good Grant Making cards (below) which we will be sending them to decision-makers to try to get them to think differently about how they make grants. 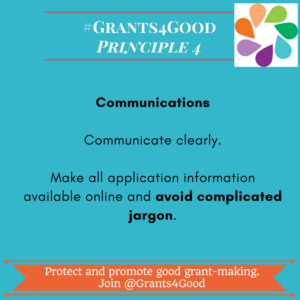 You can download these here and send them yourself, or click on a card and hit send to tweet instantly (you can edit the message before sending).